Though pharmacovigilance has improved in recent years, there’s still much room for improvement, says Steve Jolley. Here he outlines some problem areas in drug safety that need attention. Partners and subcontractors may have weak safety data exchange agreements, or no agreements at all. In either case, this is problematic. For example, in one case, the participants of a US-based study were endangered after the Japanese licensor did not notify the sponsor of a label change that signified a potential risk for liver toxicity. According to US Food and Drug Administration (FDA) standards, the US licensee is responsible for maintaining the integrity of the supply chain of safety information. But, in this case, the licensor did not inform the licensee of any risks associated with the drug as per the safety data exchange agreement. The FDA requires drug manufacturers to report serious unexpected adverse effects (AEs) within 15 calendar days of the initial receipt of information. However, many drug manufacturers still struggle to report this within the designated time frame. Research shows delays in reporting AEs most commonly occur in those involving patient death. To resolve the delay problem, the reports could go directly from the researchers to the FDA, instead of through the drug manufacturer. However, this step on its own will not solve the issue completely. A more strict enforcement of this rule, involving the withdrawal of drug approval or suspension of sales may provide an incentive to speed up this process. Some companies, particularly smaller ones, may prioritise efficacy over safety, which can compromise clinical trials. It’s important for drug makers to weigh both efficacy and safety equally, to ensure the optimal quality of the drug. Some study sponsors are not utilising signal detection technology to proactively detect safety problems. 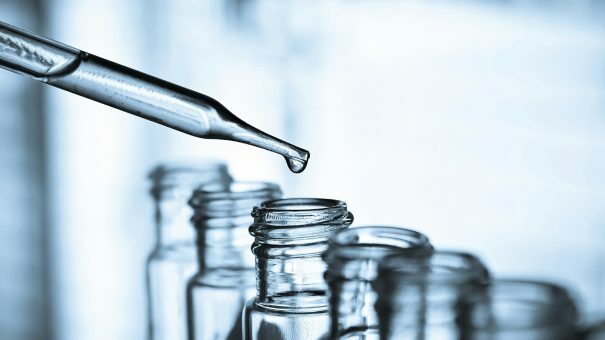 Fortunately, in recent years, the European Medicines Agency (EMA) has required companies to submit an annual Development Safety Update Report on therapies under development, which focuses on the benefit-risk profile of these drugs. Drug safety issues resulting from financial conflicts of interest are more prevalent in smaller companies whose future relies on the approval of a single drug. The challenge for large pharma companies is effectively processing tens of thousands of AEs each year. To help alleviate the above issues, the FDA launched the Sentinel Initiative in 2008, which developed a national electronic system for tracking reports of AEs linked to FDA-regulated products. The initiative queries automated healthcare data holders, some electronic medical records (EMR) systems, registries and administrative and insurance claims databases in order to identify drug safety issues. Since its implementation, the initiative has made some progress in querying EMR, but few new safety concerns have been detected. Between April 2014 and March 2015, the UK Medicines and Healthcare products Regulatory Agency (MHRA) reported reference safety information as the top critical finding from its inspections. It represented 29% of all critical findings and was also the number one critical finding of inspections in the previous year. It is essential for pharma companies to perform routine audits to ensure their business is performing the current best practice in pharmacovigilance. A detailed Audit Process Model should be followed, including elements of data collection, assessment, reporting and analysis to highlight compliance gaps that may be present in an organisation. It is worth noting that US and EU inspections are not the same; FDA inspections tend to be more detail-orientated, whereas the MHRA looks at the bigger picture. Through an audit, companies can see in which areas their drug safety operations can be improved and ensure they are prepared in the event that they are inspected by a regulatory agency. Steve Jolley is CEO of SJ Pharma Consulting, a drug safety and pharmacovigilance consulting company based in New Jersey, USA. Steve has 30 years’ experience in global safety compliance, business process improvement and signal detection working with clients across the US, Europe, Japan, India and China. 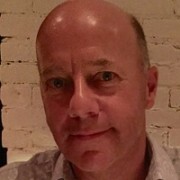 As a member of the Drug Information Association’s training faculty and an instructor and chairman for the DIA’s Clinical Safety and Pharmacovigilance Certificate Programme, Steve is also an adjunct professor at Rutgers University teaching on their Master’s degree programme in drug safety and pharmacovigilance.